Lakes, rivers, mountains, waterfalls, quaint village hamlets, amazing views, climbing, walking, canoeing, cycling, camping, adventure, peace and quiet – the Borrowdale Valley has it all! Isn’t it time you visited? A pretty Lakeland self-catering cottage situated in the beautiful Lake District hamlet of Rosthwaite, in the heart of the Borrowdale Valley, near Keswick in the Northern Lake District. Castlerigg is perhaps the most atmospheric and dramatically sited of all British stone circles, with panoramic views and the mountains of Helvellyn and High Seat as a backdrop. Just one of the many beautiful places to visit… One of Wordsworth’s favourites and a gem of a little village with lots to see and do. "Thwaite How; self-catering 3 bed cottage - sleeps up to 6." 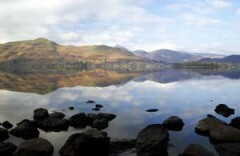 A superb base for exploring the stunning Borrowdale Valley and northern Lake District. Thwaite How is a pretty Lakeland self catering cottage, that sleeps up to six people, situated in the beautiful Lake District hamlet of Rosthwaite, in the heart of the Borrowdale Valley. The cottage is fronted by a picturesque walled garden with views across to the spectacular Lake District fells of Castle Crag, High Spy and Maiden Moor. 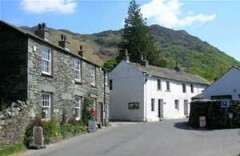 Rosthwaite has much to offer a visitor to the area. There is a cafe, a local pub and a hotel offering meals. 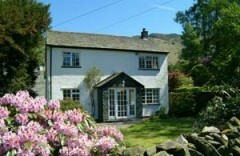 Rosthwaite is a superb base for exploring the stunning Borrowdale Valley and surrounding Lake District. A short drive to the end of the valley and over the dramatic Honister Pass will bring you to beautiful Buttermere. The Northern Lake District is an area covering almost half of the Lake District National Park in Cumbria. The landscape, carved millions of years ago by glaciers heading South, offers stunning scenery, with high mountainous peaks, flowing valley floors, deep blue lakes, amazing drives and some very pretty villages to investigate.